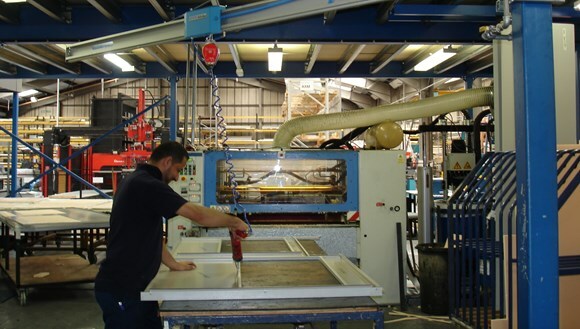 At Teseo UK we use our manufacturing expertise, knowledge and experience to assist our clients in the design, installation and supply of turn-key compressed air projects. Working with our business partners we can deliver bespoke packages, covering all aspects of fluid power distribution systems. 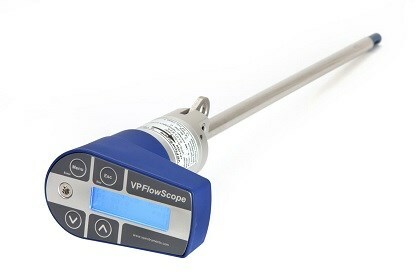 AP Multifuild at 25 Bars (360 PSI) are suitable for compressed air, nitrogen vacuum, inert gases and oils and by doubling the clamping brackets of the joints and terminals of the AP system, this product can be used at a working pressure of up to 25 bar (360) psi. Providing an ergonomic workplace solution with health and safety at the forefront, Teseo’s ATS air track supply system has been designed to complement the HBS and AP compressed air supply lines. 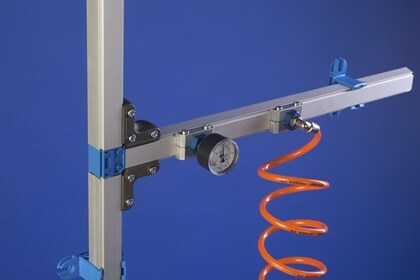 Accessories to the system include an anodised aluminium swinging arm and for the HBS 50 system, a trolley that fits directly onto the distribution line. 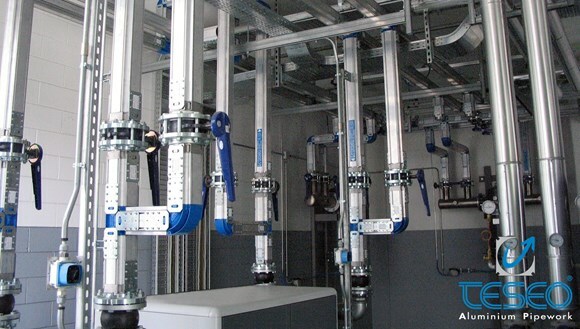 Tour Teseo's headquarters and manufacturing and assembly plant and see the features and benefits of the first ever modular aluminium system for compressed air distribution. High levels of advanced precision production and quality standards create the best quality product in each step of Teseo’s manufacturing process. 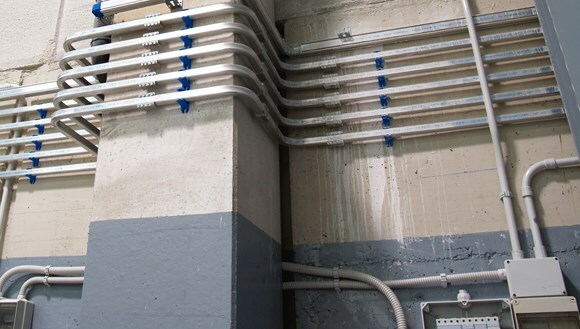 Our light weight manufactured calibrated pipework extrusion and 100% metal components offer superior energy saving reliability. 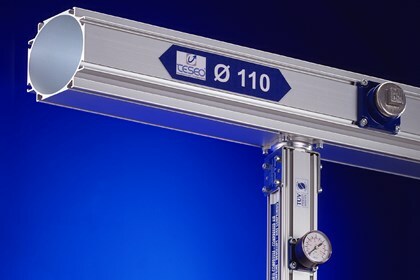 Welcome to Teseo Compressed Air Pipework Systems, designed to deliver an energy efficient and economic air solution from air compressor to the point of use. 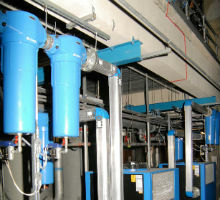 Whatever your compressed air pipework requirements the highly experienced Teseo UK team and our authorised network of distributors can work in partnership with you to design, supply and install a high performance modular aluminium air system that is cost effective and an ideal solution for your business.